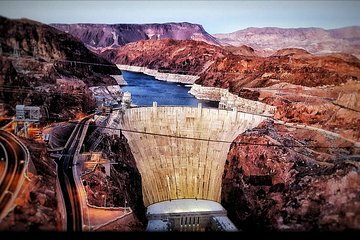 Skip the self-drive hassles and relax on this minivan trip to the Hoover Dam, the 726-foot (221-meter) engineering marvel that’s one of America’s top manmade wonders. Traveling round-trip from your Strip or downtown hotel in a group no larger than six, enjoy snacks, bottled water, and a history documentary, and stop at lookout points to soak up the views. Entrance fees and tours are at your own expense.